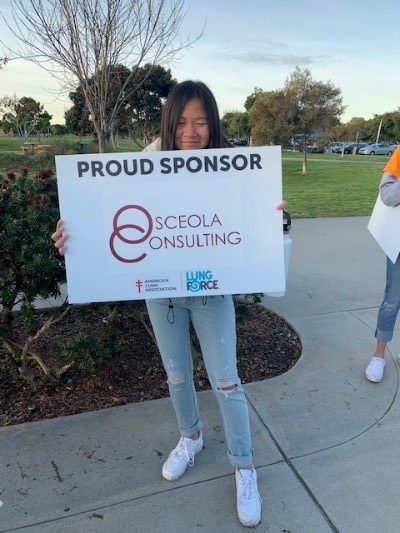 OSCEOLA CONSULTING SPONSORS LUNG FORCE WALK SAN DIEGO,JANUARY,2019. 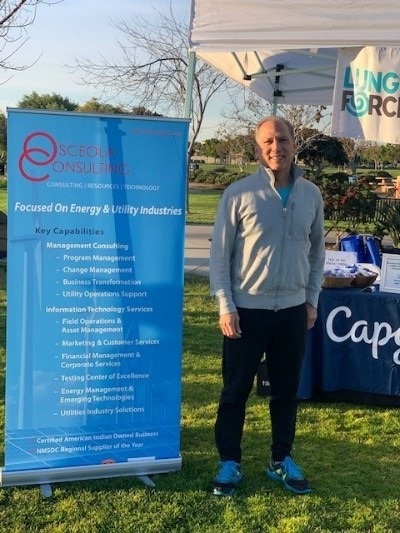 JANUARY 27, 2019, NTC PARK/SAN DIEGO – For the fourth consecutive year,Osceola Consulting was a proud sponsor of LUNG FORCE Walk San Diego, joining Local Presenting Sponsor San Diego Gas and Electric. 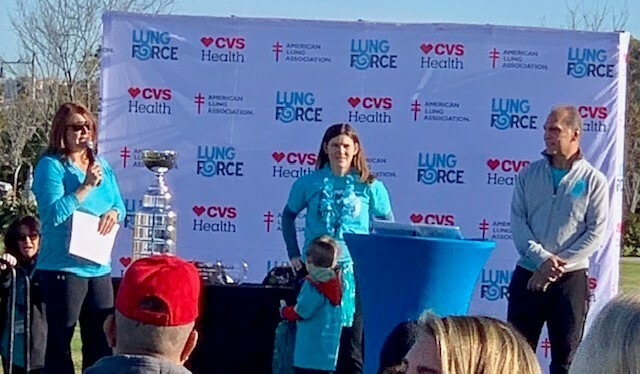 Osceola Founder and CEO Kevin Narcomey served as Co-Chair, along with Natasha Dowling, Principal, Capgemini for this signature American Lung Association fundraising event. Funds raised support research, advocacy and educational programs to battle lung cancer, asthma, COPD, and other respiratory diseases. 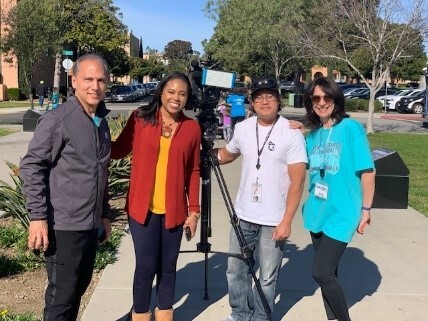 San Diego ABC Affiliate KGTV did an evening news segment on the LUNG FORCE Walk, reporting that the best part of the day was talking to the survivors. In his interview Kevin Narcomey said, “To hear their stories just brings tears to your eyes, and it really makes you feel good that you’re doing this for the right thing”. Osceola’s LUNG FORCE walk sponsorship also included both providing a Text-To-Give platform allowing people to donate directly from their cell phones; and partnering with RingORang to create a cell phone learning game to reinforce education on, and awareness of lung cancer, smoking cessation, and related diseases like asthma and COPD, as well as to promote clean air measures. 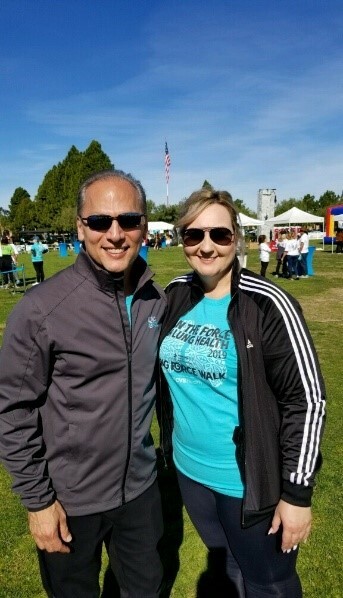 Narcomey who is also a member of the American Lung Association’s Local Leadership Board in San Diego noted that, “We are also planning the Turquois Ball Awards Gala, June 1st, at the Marriott Gas Lamp Quarter and a LUNG FORCE Golf Tournament in September". Photo(R-L): Kevin Narcomey, KGTV Reporter Natay Holmes, KGTV Camera Man, Rita Redaelli, Lung Association. Photo:Kevin Narcomey and Alicia Segovia, Osceola.